The following how-to article is a step-by-step tutorial, which demonstrates how to extend one of the DataDefractor SSIS sample projects with a loop through Excel files. Please make sure to install DataDefractor’s samples in order to try this out. Open the Store Level Data sample project located in your Program Files\Interactive Edge\DataDefractor\Samples folder for reference. In the image below we see the sample Data Flow Task which houses an instance of the DataDefractor source component. 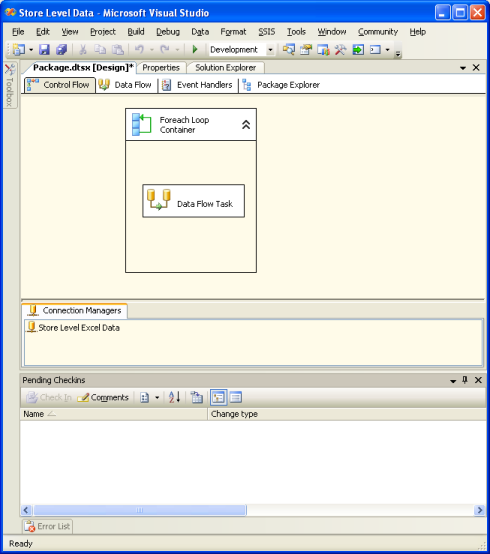 In the Connection Managers tray we see Store Level Excel Data Connection Manager – an instance of DataDefractor.ExcelFile connection manager. From the toolbox we add a Foreach Loop Container to the Control Flow. Once added, drag and drop your DataDefractor Data Flow Task into it. 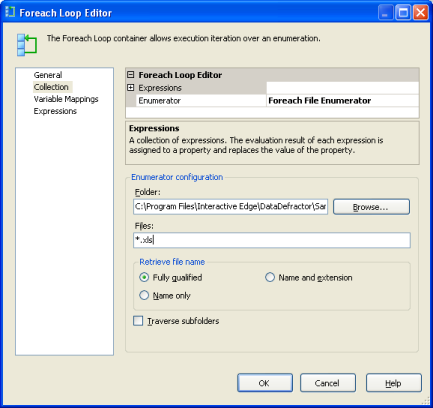 Double click on the Foreach Loop Container to display the Foreach Loop Editor and select Collection. Under the Enumerator configuration section, we need to specify the folder over which to loop through and to look for only Excel files. We are given three options as to what is returned when the loop finds a file in the folder at the bottom of the form: fully qualified the name and extension or the name of the file. Choose Full qualified..
Next, click on Variable Mappings. When the Foreach Loop finds an Excel file we need to tell it what to do by assigning a variable to it. Click on the drop list and select New Variable. In this dialog box, we set the values of the variable. 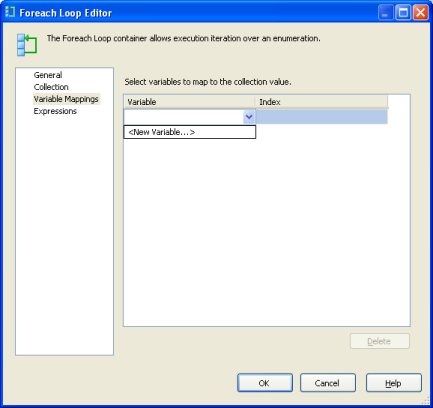 Set the variable to the package itself and assign it a name, for example: MultipleExcelFiles and click OK twice to finish configuring the Foreach Loop Container. Next, we need to set the properties of the DataDefractor.ExcelFile connection manager. Highlight the Store Level Excel Data connection manager in the tray at the bottom, right click and choose properties. We only need to change the “Expressions” setting. Click on the ellipses to create the expression in the Property Expressions Editor. 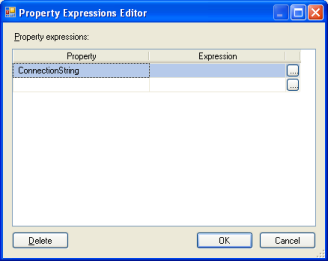 Under the Property column, drop the list down and choose ConnectionString property. Under the Expression column, click on the ellipses button to retrieve the variable we defined earlier. 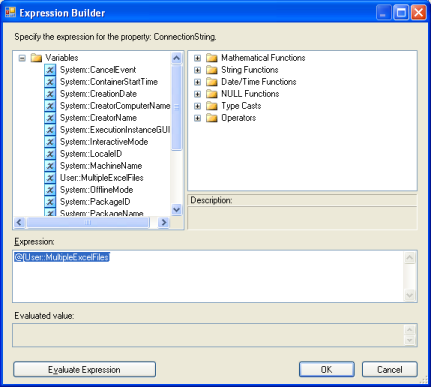 In the Expression Builder, drag the variable from the list at the top to the Expression text box at the bottom and click OK.
We now see that our expression is assigned to our ConnectionString property. 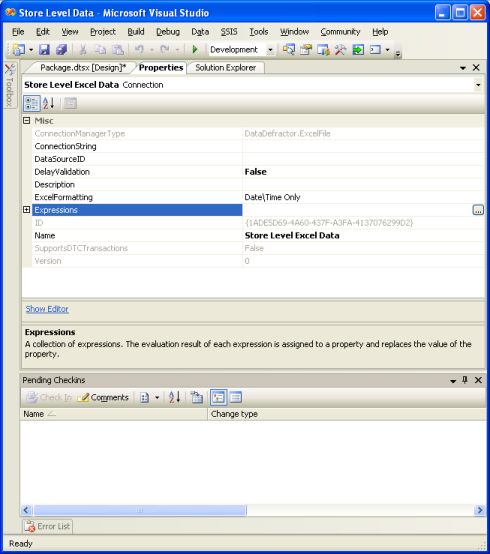 Click OK.
We now see our Store Level Excel Data’s ConnectionString property assigned to an expression in the properties of the connection manager. That completes the step required to loop through multiple files. When executed, the Foreach Loop iterates over the Excel file matching our criteria, assigns the Excel file path to the MultipleExcelFiles and executes the Data Flow Task. 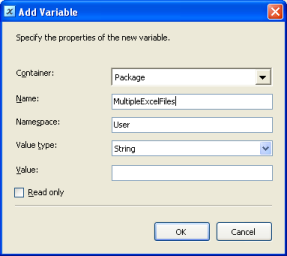 As the task is executed, SSIS evaluates the expression assigned to the ConnectionString property and since the expression evaluates to the current value of MultipleExcelFiles, the connection manager is redirected to the new Excel file. This way, using standard SSIS Foreach Loop, variable, property and expression we programmed DataDefractor to import a number of Excel workbooks located in a folder. 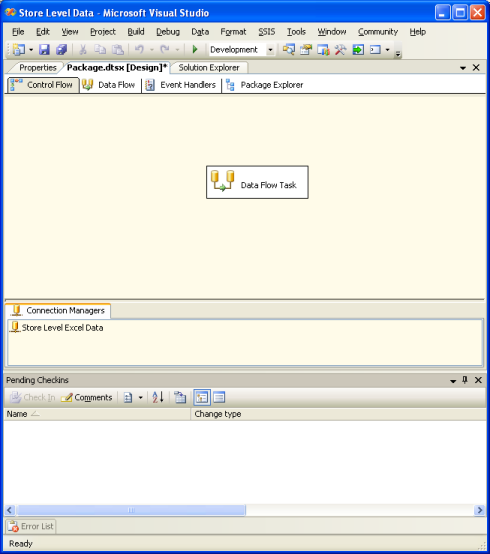 You can use the same technique to setup DataDefractor to import data from files whose location is configured from the outside, for example through SSIS configuration files.